The beautiful purplish-pink bitterroot is the official state flower of Montana. It blooms during the spring and summer months, and it is as hardy and resistant to drought and weather as the people who chose to settle this stunning landscape. 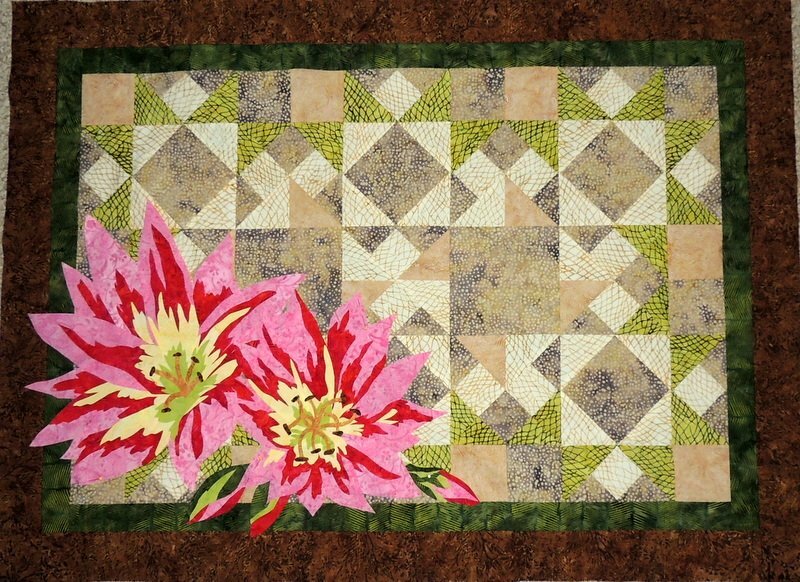 This pattern includes a fun pieced background with soft hues of the riverbanks and sage filled hills where the flower can be found. Also included are optional instructions of how to use Terial Magic to create a few 3-D petals, so your flower will rise up off your wall hanging. 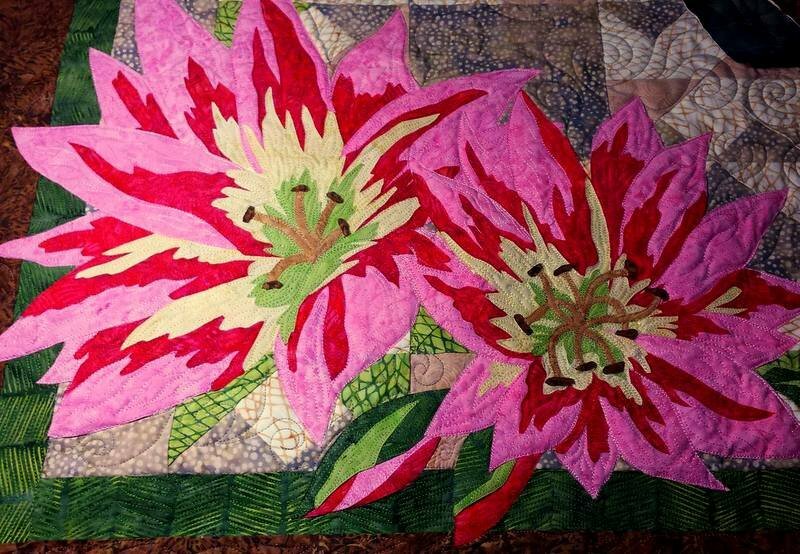 Finished size: 44" x 32.5"